Harajuku duo sporting colorful streetwear couple fashion with star print jacket, camouflage pants, blue sneakers, furry jacket, sweater dress, smiley face hat and backpack. Harajuku guy sporting a chic vintage monochromatic streetwear style while out and about on Harajuku. 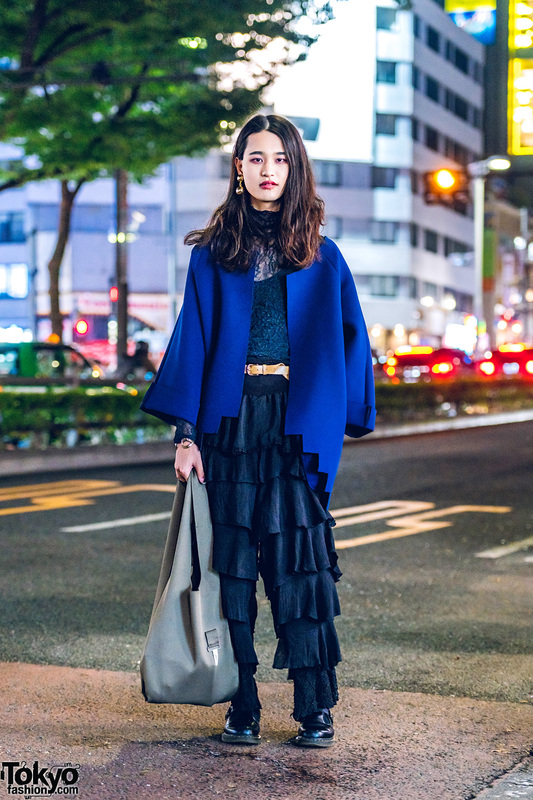 Kinji Shimokitazawa staffer sporting layered mixed prints while out and about on the Harajuku street. Harajuku girl in an oversized denim jacket, layered Kobinai tops, a sheer tiered skirt, colorful socks, buckle shoes and a snowman neck pouch. 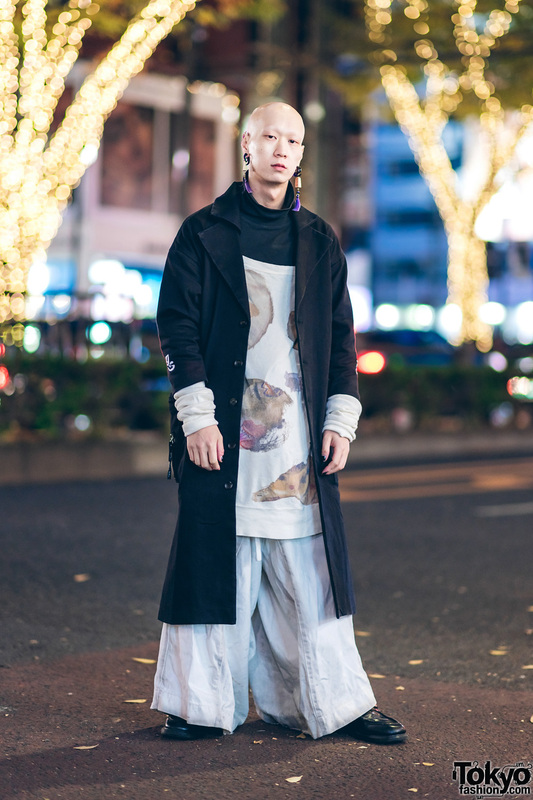 Japanese musician and model in a monochrome streetwear look with long coat, printed sweater, turtleneck top, wide leg drawstring pants and leather loafers. 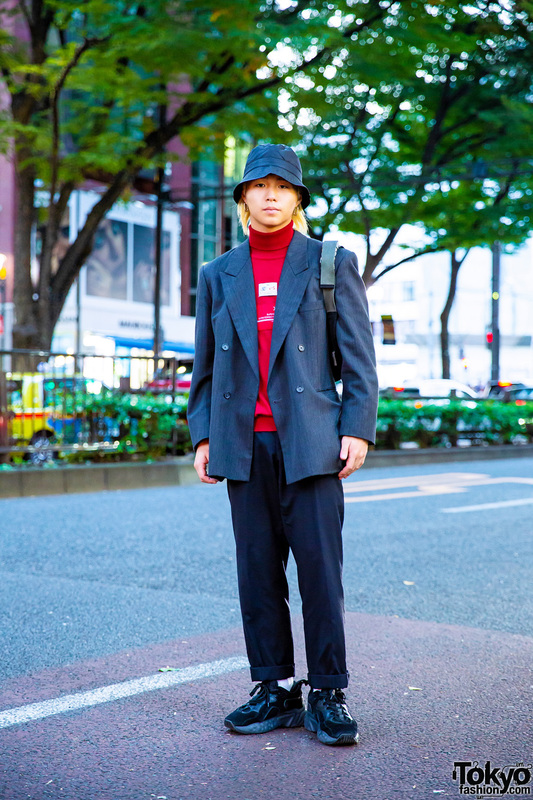 Japanese student dressed in a casual menswear look with resale blazer, turtleneck sweater, cuffed pants and black sneakers. 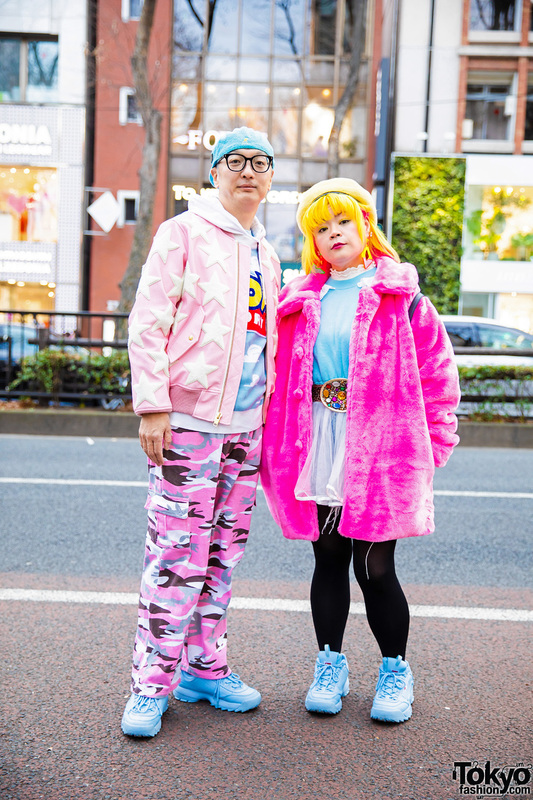 Fashion designer and advertising director in a chic street style while out and about in Harajuku. 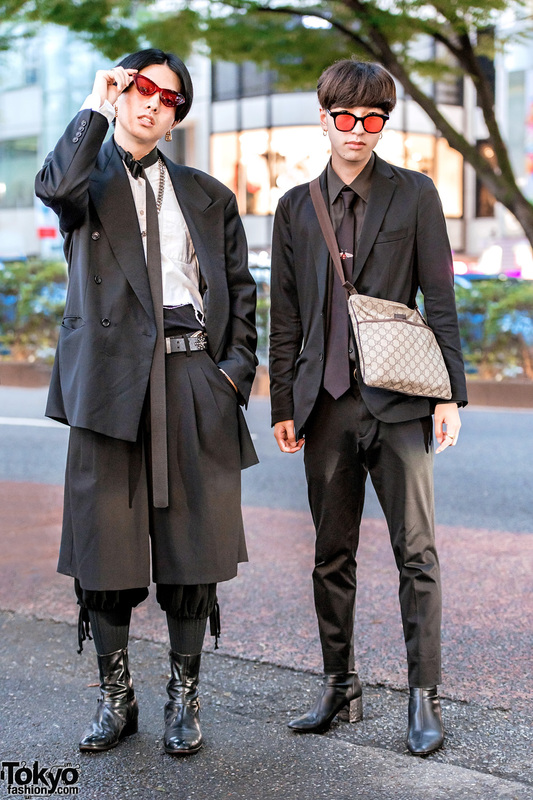 Japanese fashion stylist and apparel PR man in black menswear street styles while out and about in Harajuku. Blonde teen in Harajuku dressed in a chic all-black minimalist street style.